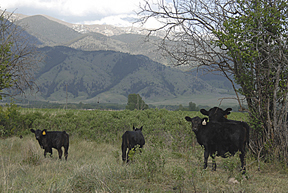 Located on the rich soils of the Gallatin Valley in Montana, C-5 Organics is a bit of heaven on earth. 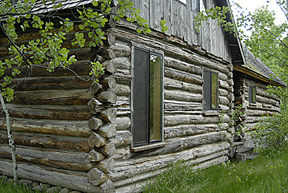 Surrounded by the Rocky Mountains and nourished by Reese Creek, C-5 Organics boasts wildlife viewing and fishing opportunities galore. 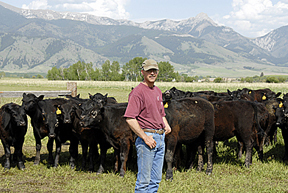 Brian Goldhahn managed the ranch for seventeen years before he started leasing it himself several years ago. Half of its 2200 acres are under organic management with the balance to follow shortly. 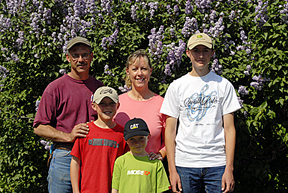 Brian and his wife, LaVerne, and three sons love the ranch life and believe in the contribution they’re making to our food system. “There is no better life for my sons to grow up in than this one,” Brian concludes.